Craniosacral therapy will help you release the tensions, stresses and strains that hold you out of balance. It enables your body to rediscover its own natural self-correcting and healing abilities, bringing you a deeper sense of health and wellbeing. 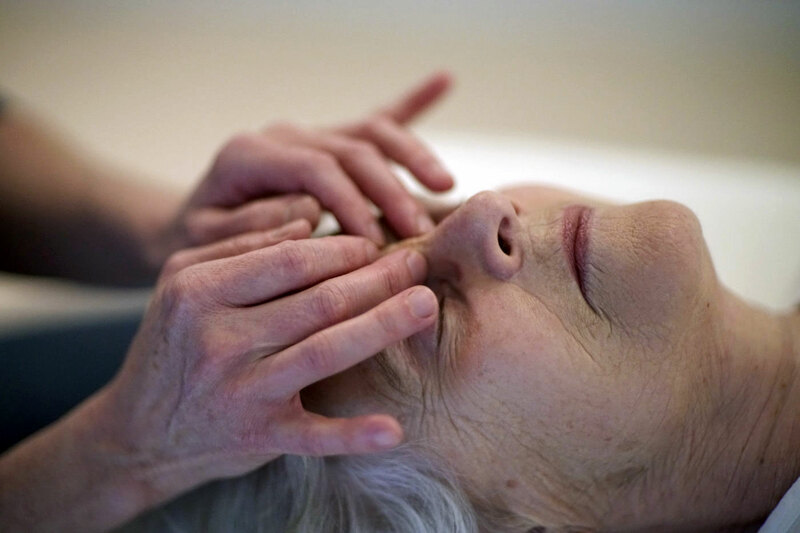 Craniosacral therapy is a gentle way of using light touch to observe and treat the body. With my hands I listen to your body express its story in much the same way a counseller would listen to your words. My role is to let your body know that it has been heard and that it is safe and able to move forward and change in whatever way it would like. The accumulation of life’s stresses can become overwhelming for our nerves and physical body. Events like big life changes, chronic illness or injury can leave us really compromised. When we are overwhelmed our bodies don’t self-correct and heal as they usually would. The therapeutic connection of CST supports your self-healing process to release deep held tension and stress from the nervous system and tissues throughout the body. As the body unravels its restrictions the mind and emotions also begin to feel more open and at ease. Craniosacral therapy is about self-healing and self-empowerment. People frequently say they feel; deep relaxation, inner peace, acceptance and feel whole again. Why do I need Craniosacral therapy? People usually come to craniosacral therapy because they are going through challenging times or struggling with their health. Craniosacral therapy is for anyone who wants to make changes in their life and improve the way they feel. People like CST because it is so gentle, non-invasive and gives them back control. People who have experienced accidents, injuries or surgery turn to CST because it offers a gentle and harmonious way of easing a body that’s already experienced trauma. Strains, distortions, inflammation and scarring to the layers of tissue throughout the body create disruptive effects. Your tissue relaxes and naturally reorganises itself with CST which improves speed of recovery, ease and range of movement by reducing inflammation, scarring and pain levels. These releases are even possible many years after the original event. Emotional release is an integral part of the Upledger CST process. Big life changes like bereavement, relocation or divorce carry a heavy emotional impact as do the experiences of chronic illness or accidents. These stresses and emotions such as anger, guilt, shame and fear reside in our tissue blocking our recovery process and clouding our future perspectives. The nurturing contact of CST along with Jungian, Gestalt and Psychosynthesis principles lifts this heaviness from the tissue, creating a sense of acceptance, lightness and renewed energy. We call this process Somatic Emotional Release, releasing emotion from the tissue. Chronic illness can take its toll on your system in many ways; physically, mentally and emotionally. CST treats the whole person and as tension and stress is released in any of these areas there is a positive effect on the others. We can also look at the situation and environment at the time an illness began to try and effect changes at the causation stage. CST is an empowering resource for minimising and managing symptoms and improving quality of life and state of mind. By listening to the flow of fluid surrounding your central nervous system and the movement of your tissues I can feel the places where your body is most stuck. Restricted tissue anywhere in the body causes drag on the central nervous system because our tissue (fascia), is one continuous thing. Think how a jumper feels to the rest of your body if one sleeve is knotted. As I gently connect with the restricted areas, your body also becomes more aware of its own state. With this awareness and sometimes some guided encouragement, your body naturally chooses to let go of tension and move forward into an easier more harmonious way of being. This process is very much the same when working with both physical injury and the emotional impacts of life. As this drag or tension is released the central nervous system feels less strain and will glide more easily within the center, the spine. You are literally left feeling more centered, relaxed and at ease. Your body no longer needs to exert energy maintaining tension so you experience renewed energy. Relaxed tissue also means that blood vessels, nerves and organs can relocate to their intended position. This improved alignment enables better health function too. You know how water flow is affected if a hose pipe is twisted. When a baby is born the whole family goes into massive adjustment, every dynamic is affected. This can be a harmonious process but often it comes on the back of exhausting labour, possibly with additional complications. Usually no one is prepared for the level their lives are to be turned upside down. Additional complications can leave a baby with far more stress in its system which can affect feeding, digestion, sleep, physical comfort and ability to settle. A happy baby and mother make for a happier, more harmonious household. CST can assist baby unwind the physical tension and trauma of passing through the birth canal and of adapting to its new environment. Mother, father and other siblings can also find the new arrival a great shock to their status quo. Sometimes family CST sessions soften the impact of change in everyone’s lives. Acknowledging this shock in a therapeutic setting can open the way for greater acceptance and connection between family members. Childhood is a rollercoaster of rapid growth, change and development. The body, brain, cranium and immune system are at it 24/7. The more relaxed the physical body and nervous system are the smoother these changes can occur. Bumps, bugs and retained birth traumas create inflammation, stress and restrictions that make these changes a greater struggle. Relieving possible birth trauma from the neck and head for example can optimise neurological development and immune function for the sinuses and ears. The need for the social and emotional adjustment of going to nursery and school can be difficult for some children. CST can lessen this stress response to make a happier more fulfilling experience of these life changes. Dr John Upledger who developed craniosacral therapy spent a lot of time working with children experiencing learning difficulties and Autism Spectrum Disorders (ASD). He consistently found them to have high levels of restriction in the craniosacral system. The craniosacral system encases supports and protects the brain and spinal cord. Imagine wearing a swimming cap that’s two sizes too small for you head, day in day out. The effect of this restriction prevents circulation of fresh fluid around the brain and the drainage of waste products from the head. Therefore the brain is trying to function in a malnourished and toxic environment. The various structures of the brain and sensory nerves are under continuous pressure. Friction caused by the pressure triggers an inflammatory reaction which generates further irritation to the brain tissue. The system that determines our response to stress and creates out fight, flight or freeze behaviour, (the reticular alarm system) passes through the floor of the cranium and is particularly vulnerable to tension in the craniosacral system, as are other parts of the brain stem and limbic system which process our sensory input from our environment and our social/emotional connection. These are all areas that can be challenging for people with learning difficulties or ASD. Craniosacral therapy’s primary function is the relieving of tension and restriction from the craniosacral system. Relieving restriction around the brain creates a healthy, relaxed environment for neural processing. People usually experience reduction in their ASD symptoms with CST. Craniosacral therapy is the ideal therapy to go alongside the Brainbuzzz programme for further supporting neurological development and sensory integration. When we are presented with a stressful situation the body has hard wired chemical and physiological mechanisms which help us react in order to survive. A part of the brainstem and spinal cord called the Reticular Alarm System (RAS), recognises we are in a threatening situation and activates the release of adrenaline. This creates several effects; a huge boost of energy to fight, flee or freeze, a heightened awareness through all our senses to elevate our vigilance and reaction response, and contraction through our body tissue to protect us. They are all very useful qualities to ensure our survival. Usually when the stressful event is over the RAS will no longer be activated and the body will self-correct. It will relax back down to normal settings. However, if the stress has been too severe or too prolonged then the self-correction does not always happen. The RAS gets stuck in overdrive which rapidly becomes very wearing and depleting to the body and mind however the continued adrenaline masks the exhaustion. Given this situation the body over time will develop other symptoms such as back ache, headaches, insomnia, anxiety, hypervigilance, flashbacks and depression to the point of suicidal thoughts. These symptoms are caused by the combination of unprocessed emotional trauma of the stressful event, the continued RAS response and the prolonged level of tension through the body. Craniosacral therapy can treat all of these effects by gently supporting the system back into its self-corrective nature. 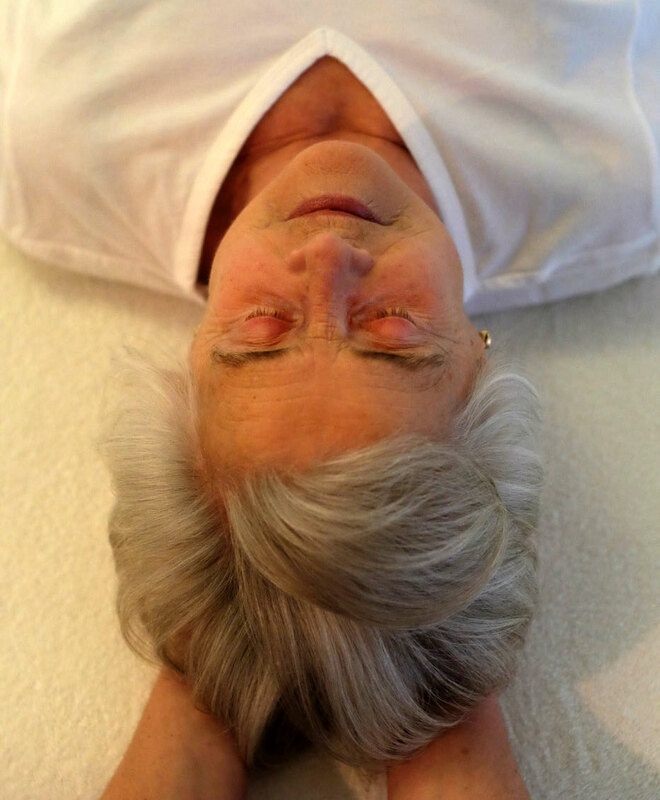 Releasing tension from the floor of the cranium and top of the spine to balance the RAS, releasing the contraction throughout the craniosacral system and body and supporting the processing of emotional trauma each relieve the person from the grip of stress and gradually reinstate the ability to self-regulate. Upledger CST carry out intensive programmes for traumatised war veterans with amazing life changing results for recovery from PTSD. Stress should never be underestimated for the devastating effect it has on any of us but there is always a way forward to recovery from its grasp. “My son Arlo has Cerebral Palsy, he also has a condition called Emotional Lability. Since his first treatment with Anna he has been far more emotionally stable, resilient and less fractious. Anna comes to our house because her therapy room does not have wheelchair access. “I have been seeing Anna for about 11 years. She continually keeps all of my aches and pains in check. Be it arthritis in my joints, cramps and spasms post mastectomy or other complications. For years she kept my restless legs from driving me up the wall and keeps my swollen ankles in check too. There is no definite answer to this question. Every person is different and the pace that their body responds is different. In general a long standing or deep seated condition would take longer to clear than an acute or recent one. I tend to suggest that you plans to have 3 sessions and that will give us a better sense of your speed of response. A lot of the time an issue will resolve in the first 1-2 sessions. How frequently will I need to come? This can depend on the issue we are addressing. Much of the time it makes sense to give a concentrated, consistent effort by having treatments weekly or fortnightly. If treatments are maintenance programme then maybe every 4, 6 or 8 weeks. You will become aware of your body and its needs and can choose whatever seems right for you. Frequently only 2 or 3 sessions are needed and the client will just get back in touch if symptoms recur, which may be a year later if ever. You are in control. What are the after effects of CST? Sometimes people experience after effects from a treatment, this is completely natural. When your body/mind has made some significant changes there can be a lot of follow on changes that the rest of your body/mind is able to make in response to the new status quo. This is a positive process, your body is making the most of the treatment. After effects could be simple things like feeling tired, a bit emotional, hot or cold. Sometimes familiar sensations, transient aches and pains or headaches. It is advisable to not plan anything too strenuous for the couple of days after a treatment, drink plenty of water and get plenty of sleep if you find you experience after effects like these. It can also be an indicator that your body would benefit from having some more frequent treatments to move it through this stage. No. Craniosacral therapy is a clothed treatment. However I may well ask you to take your belt off or a big necklace or earrings and shoes obviously. This is all. It is preferable to be wearing loose comfortable clothes, not skin tight trousers or short skirts please. Sometimes your legs might like to move around a bit as your body releases.